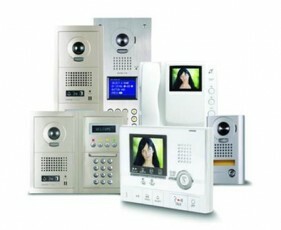 A multi-dwelling or apartment intercom system provides security for the residents of high-rise residential buildings and gated community housing developments by way of restricting access of visitors to the entrance, or entrances, of the building or property. 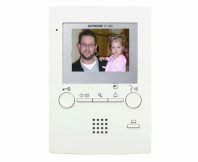 The intercom system can be linked to secure entries and provides the ability to activate electronically controlled access points such as pedestrian and vehicle entries. There are traditional entry panels available with individual push buttons for calling each residence or digital entry panel featuring a keypad for calling the residents, similar to a telephone keypad. The visitor enters a ‘code’ relevant to the apartment – e.g. enter ‘101’ to call the first apartment on the first floor. This type of panel will include a directory, either in the form of a physical list of apartments or a ‘Digital Name Directory’ which electronically displays the apartment calling code. Modern multi-tenant systems can incorporate both audio-only and audio-video answering stations. Audio stations are available with or without handsets; Video stations are usually hands-free for residential applications. 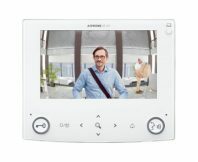 The audio-video systems provide the additional security of being able to see the visitor as well as to talk to them. The resident can activate access control systems, authorising a visitor to enter the building. In high-rise buildings this function is often linked to the elevator control system, allowing the elevator to travel to the relevant floor. 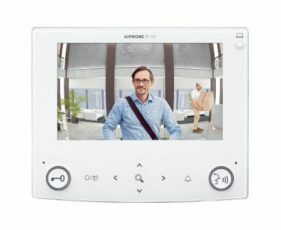 The Aiphone GT Series in its standard configuration (as opposed to expanded configuration) allows for a system comprising - - 5 x Entry Points - 2 x Security Guard / Night Manager / Concierge Stations - 48 x Residential Stations provides residential buildings with high performance security & reliable operation.